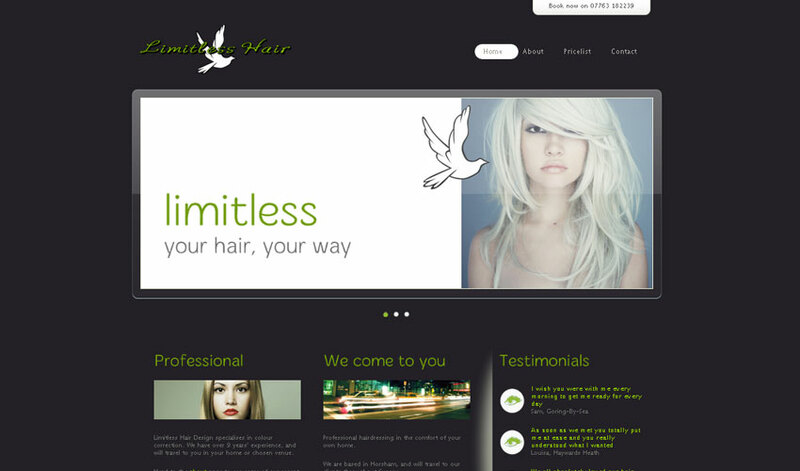 Designed for a mobile hairdressing company. Exclusive logo and colour scheme throughout with product links. 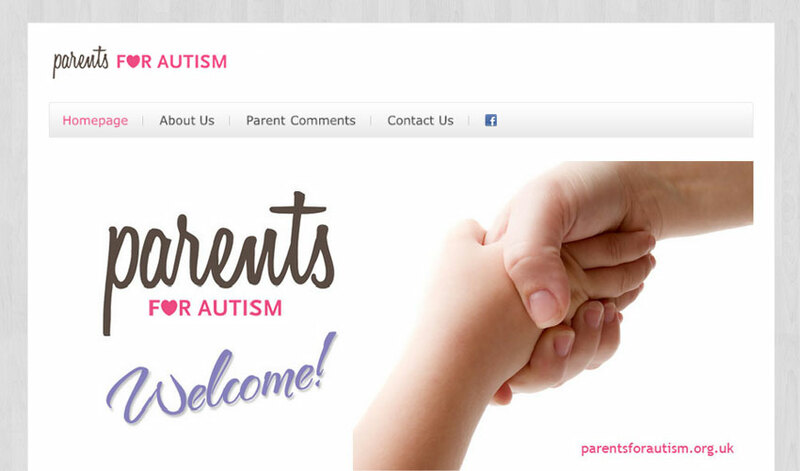 This website was designed for a local charity to promote their community and advertise events. Clean, fresh and simple to navigate. 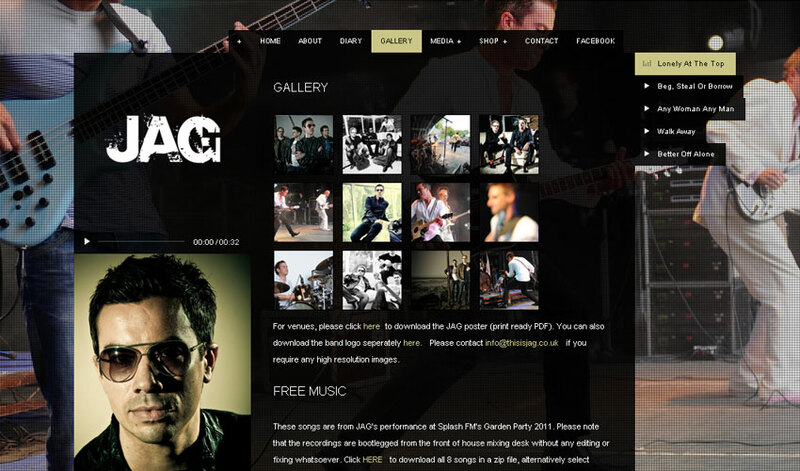 A Brighton based rock band - the site includes a very cool gallery and easter egg pages. Click on the little plusses you find! 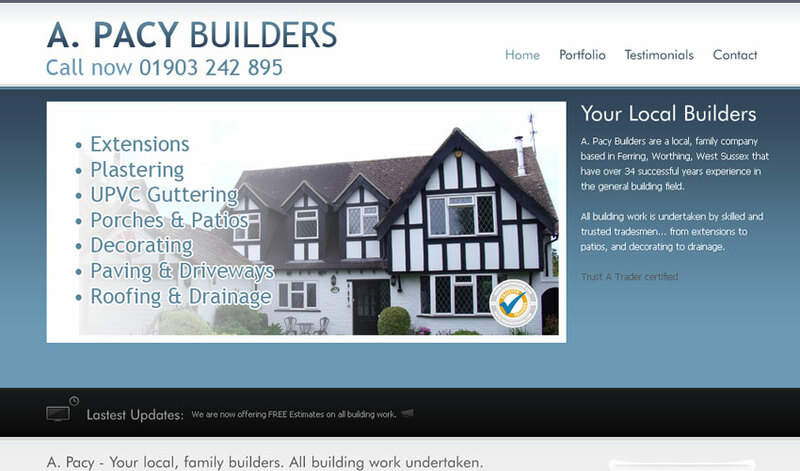 An online portfolio of work for a building company. Includes a testimonials page and a bright, clean format. 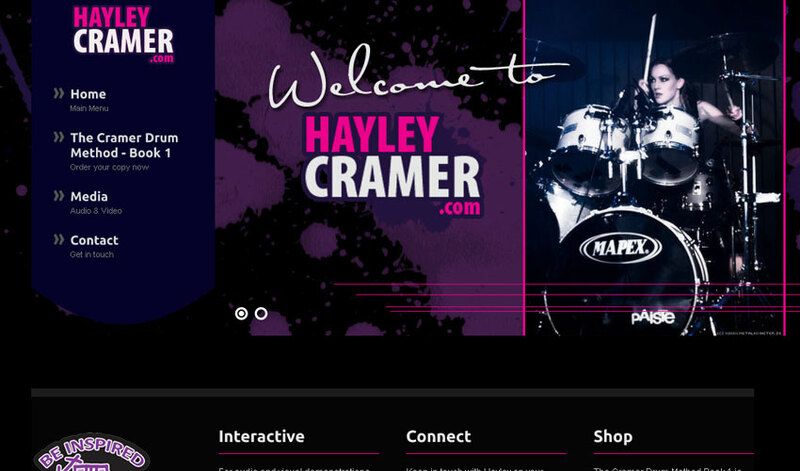 Interactive site for a drum tutor. Includes a multimedia page and embedded Twitter feed plus product links. 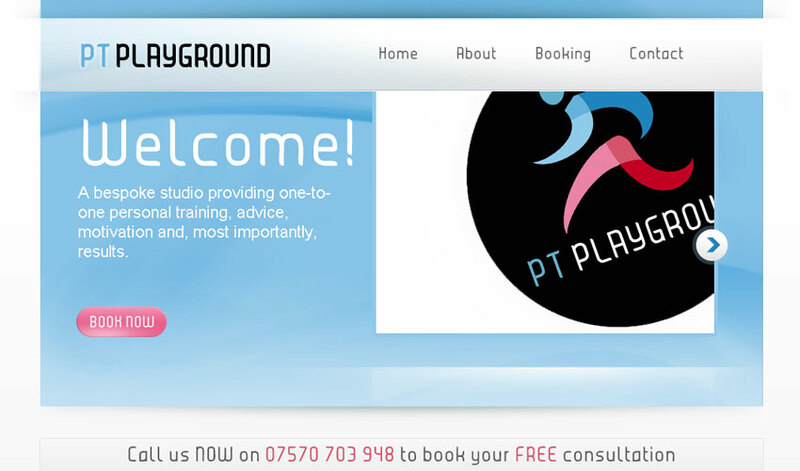 Another crystal clear design, this time for a personal trainer and fitness instructor. 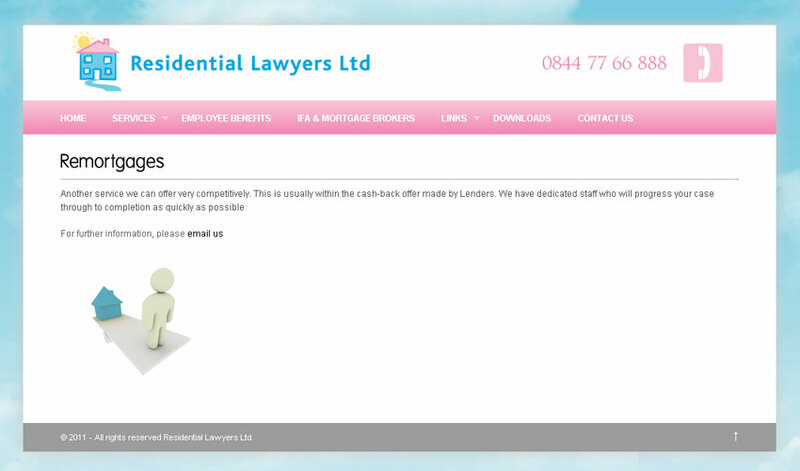 Includes an embedded online booking form. 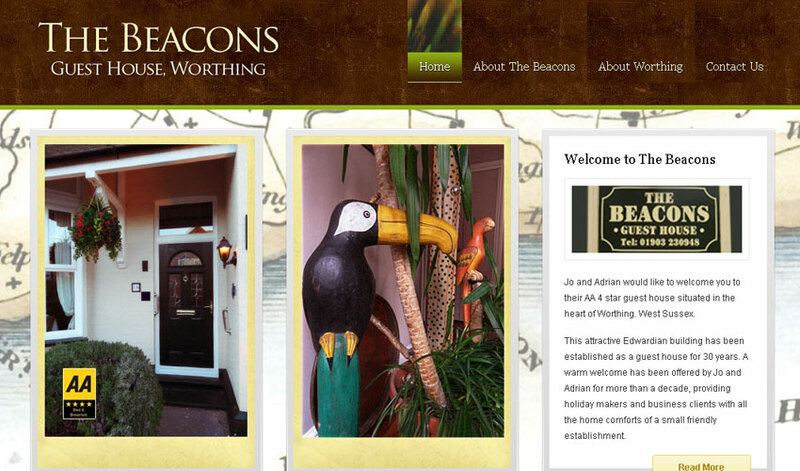 Designed and built for one of the most popular Bed & Breakfasts in Worthing. Plenty of images to scroll through. An cleanly built informative site, designed with clients' ease-of-use in mind. Includes a smart slider on the homepage. 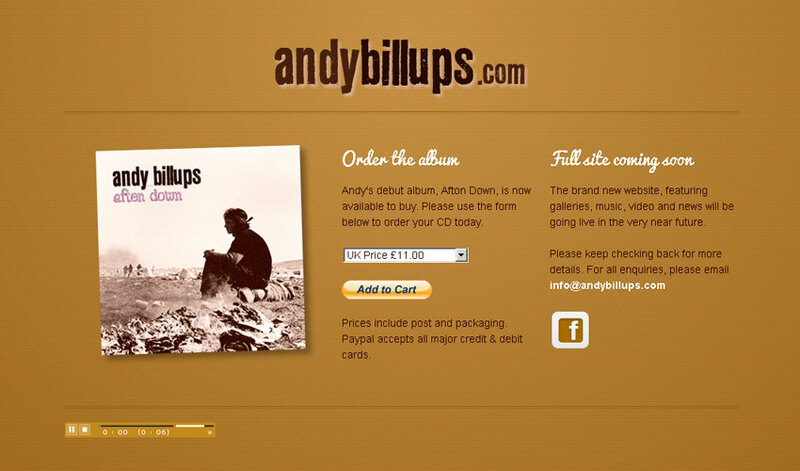 Currently only a holding page for songwriter Andy, but with an audio player and PayPal shopping embedded.